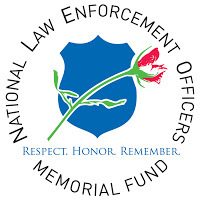 Our colleagues at the National Association of Police Organizations, NAPO, have announced that after 15 years of planning, another museum is coming to Washington, DC and it will be built next to the National Law Enforcement Officers Memorial in Judiciary Square. Congress has approved the land for the museum, which now also includes a center where law enforcement, media, politicians and the general public will be encouraged to hold forums and discuss all of the issues and problems at hand with America’s law enforcement. Originally planned to be built above ground, it will now be built underground which will allow for more room. PLEA has actively contributed to the funding of this project and now the general public will have the opportunity to contribute as well by purchasing bonds issued specifically for this project. CLICK HERE to read the release, which contains information about the project as well as the bonds themselves.